US President Donald Trump suggested Monday that Canada and Mexico could be exempt from his proposed steel and aluminium tariffs if they agreed to a “new & fair” North American Free Trade Agreement. The tweets come as the seventh round of negotiations on a new NAFTA deal wrap up in Mexico City. Canada and Mexico are two of the biggest sources of steel for the US. 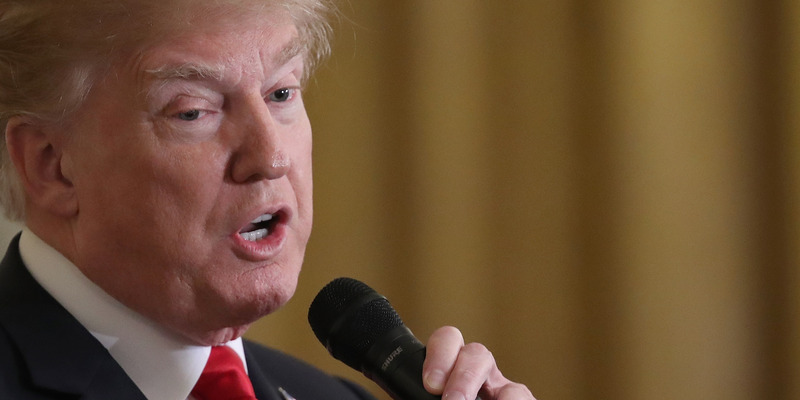 US President Donald Trump on Monday suggested his newly announced taxes on steel and aluminium imports would be used as leverage in trade negotiations with Canada and Mexico. Trump tweeted that the two signature US allies could avoid the tariffs, which act as taxes on imports, on steel and aluminium if the two countries agreed to a “new & fair” North American Free Trade Agreement. The seventh round of negotiations on a new NAFTA deal wrap up in Mexico City on Monday. According to reports, negotiators have worked through about five of the 30 major areas that make up NAFTA. Many of the thornier sticking points have yet to be resolved. The new US tariffs, which were announced Thursday and are set to be formalized this week, surprised the NAFTA negotiators and could add another wrinkle to already contentious talks. The steel tariff would be particularly harmful for the two nations because they are two of the biggest sources of steel for the US. Canada is the largest importer of steel to the US, making up 16% of all imports, while Mexico has about 9% market share, ranking it fourth. Given their close trade relationships with the US and large amount of steel exports, both countries were hoping to for exclusions from the restrictions. Peter Navarro, the director of the White House National Trade Council, said Sunday that there would be no exceptions to the new tariffs, which will add a 25% tax on steel imports and 10% on aluminium.